UNKNOWN people armed with iron bars and an axe killed a security guard before breaking into a building belonging to Arizona ZANACO Express Credit outlet and stole undisclosed amount of money and other properties. Acting Police Spokesperson Danny Mwale says the criminals broke into the shop through the main door after damaging the locking system. Mwale explained that the incident happened yesterday around 01:00 hours at Arizona Express outlet at Chibombo market in Chibombo District of Central Province. “The victim identified as Richard Shamabuwa aged 49 of Chibombo District sustained a deep cut on the head as a metal bar and an axe is believed to have been used in the act. He was found in unconscious state and was rushed to Liteta District Hospital where he later died,” he said. Mwale added that the body is lying in Liteta District Hospital mortuary awaiting postmortem. 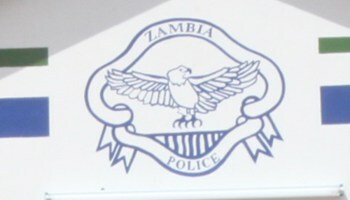 And in a related development, police in Luanshya picked a body of unidentified man aged between 30 and 35 who is suspected to have been killed by unknown people. Mwale said that the incident occurred yesterday at unknown time at Kankoshi Village, Miputu area in Luanshya, Copperbelt Province, adding that the body was found with a deep cut on the stomach with intestines outside. “A sharp instrument is suspected to have been used. The body is lying in Roan General Hospital Mortuary awaiting identification,” he explained. And Mwale has disclosed that a Congolese national who runs a grocery wholesale in Lusaka was attacked at his residence by eight unknown criminals armed with machetes, knives and unknown type of firearms. He said the criminals went away with K35, 000 and a 32 inch colour television set valued at K2, 000. Mwale stated that the incident occurred last night at 21:00 in Kalundu compound, Westwood in Lusaka. He said police have intensified patrols to ensure that citizens and their properties were safe. Mwale has urged members of the public to be alert and report any suspicious looking persons to the nearest police station within the community.